I was listening to Arirang radio station the other day and the DJ was interviewing this rookie Korean boyband. The DJ asked if they know any other languages aside from Korean. I was so surprised that one of the members said he knows Filipino, so he was asked to showcase what Filipino words he knew. Then he recited the lyrics of a filipino classic by Freddie Aguilar ANAK in a gibberish way but if you are strongly familiar with the song, you will immediately get it. I was dumbfounded because I am aware that Koreans in the 1970s are familiar with this song, but new generation Koreans perhaps don't know about this. But this guy who is maybe in his 20s knows the lyrics of the song ANAK. I can't imagine how great the influence of this classic Filipino song to the world, let alone to the Koreans. It has even a Korean version which I often listen to. Lee Min Ho's upcoming movie "Gangnam 1970" used the song ANAK by Freddie Aguilar as one of its soundtrack. This song has already accomplished a lot when it became a phenomenal hit during the 1970s not only in the Philippines but in some Asian countries. In fact, it has been translated to 26 languages. This could not be a big deal, but let's face it, we are so into Korean materials nowadays in the field of entertainment, plus it's Lee Min-ho's movie, how do you think Filipino react when they find out that our very own classing song ANAK is a soundtrack of this upcoming Korean movie. 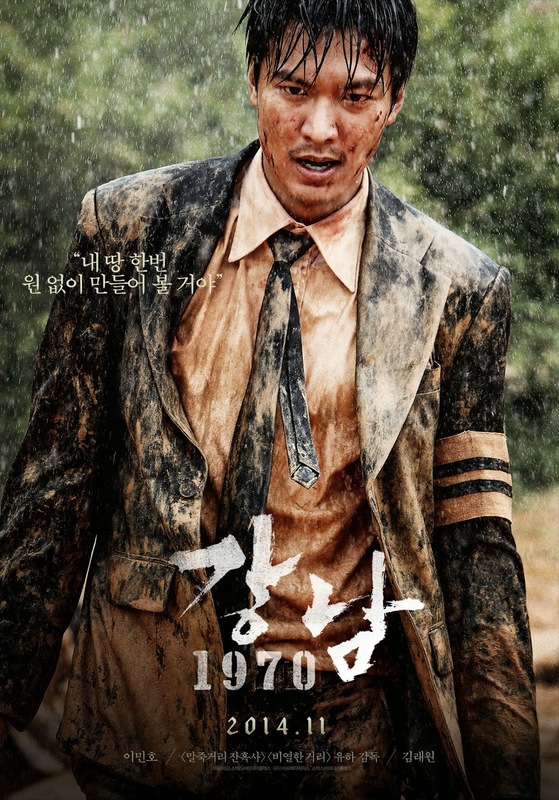 The story of Gangnam 1970 is all about two childhood friends Jong-dae (Lee Min Ho) and Yong-ki (Kim Rae-Won) who were involved in violent political clashes during the development of Gangnam, the southern part of Seoul. Their shanties were demolished due to this development plan and they were put into compromising situation which separate them. After three years, Jong-dae(Lee Min-ho) lived an honest life while Yong-ki(Kim Rae-won) became a member of a gangster and involved in a political trouble. I watched the video already and was amazed. I thought it would just be the tune as an instrumental, but no, it was the song itself with Freddie Aguilar singing! Wow that is so cool! I wonder how many Filipinos know about this. Lee Min Ho's Pinoy fans would love to know this. Yup, it is cool. I heard it from Youtube. I think this is also part of the movie's marketing strategy. Nevertheless, it being chosen among so many Filipino songs which received international recognition is pretty awesome. Wow, this is great! It's good to hear a Tagalog song played in a foreign movie. Thanks for sharing. at 1st i was thinking that maybe a popup song.. but when i pause the movie the song stop hahahah so i seach about this..